What is Walmart Moneycard ? Walmart Moneycard is a reloadable prepaid debit card which provides you cash back on purchasing. After loading the money whatever amount you spend on Walmart stores you will be eligible to get 3% cash back. It is one of the cheapest cards with the good reward program. Total Cash back you can earn up to $75 which is credited to card balance at the end of reward year. It is a second best program after Walmart free samples which gives great opportunity to reduce shopping bills. Following are the criteria for cash back rewards on purchases. How to get the Walmart moneycard? Visit their website and on the home page click on the tab get a card now. This will take you to a request form where you need to supply all your personal details. Like the last name, first name, Mailing & email address, SSN and DOB. You also need to select either you want a Visa or master card. Once you get the card next step is to activate the card. The process is very similar to activating any other debit or credit card. You need to supply the details like card number, Expiration month, year, 3 digit security code, last 4 digits of your SSN and card pin. Currently, there is an offer on new cards. If you apply for card between 05/01/2017 and 12/26/2017. Your initial payroll or government benefits direct deposit of $250 or more to your card within 60 days. you would be eligible to get $25 one time credit in your card. What all are the options available to reload the money and how we can do this? Here you can add from $20 to $1100 with a single swipe at any Walmart register. In this option, $3 service fees will be applied. You can also go for cash reload at other retailers. Through check, you can reload your card for any payroll or government check without any fee. However cashing fees may apply. You can reload any amount from $20 to $2999 not available in NJ, NY, RI. Find Walmart Money center express machine at the front of participating Walmart stores near customer service and Walmart money center. Reload fee is $3 or $0 for Walmart Moneycard preferred. Transfer money directly from your bank account to Walmart Moneycard. For standard transfer which takes from 1 to 3 business days, there is no fee. For same day transfer, $2.95 fee will be a charged for up to $ 200. Now you can reload your card with your tax refund. You need to follow the same process as you do in direct deposit. This option is also free of charge. How send and Receive money from Walmart Moneycard? If you want to send money to friends and family through Walmart moneycard within US. Then it is completely free of charge. All you need to do is to provide the recipient details like name, email or phone number. And the amount you wish to transfer. They will deduct the same amount from your card and will notify the recipient. Now the recipient has 10 days to collect the money with a Walmart moneycard, PayPal account or any other card issued by Green Dot Bank. Now you can make bill payments using your Walmart moneycard and there is no fee for this. This service is only available with personalized not with basic cards. Simply enter the payee name and address and the due amount. they will make the payment on your behalf either a check or electronic transfer. But $7500 is the maximum limit. With your walmart card you can buy Moneygram money which you can further use to pay your bills, such as rent and utilities. $.70 money order fee applies. Money order is sold in the amount up to $1000. Friends and families can also reload your card whenever you need through Moneypak. you can load from $20 to $500 with a charge of $5.95. Download Walmart moneycard App for convenient and smoother transaction. Walmart Moneycad provides App both for IOS and Android phones. The app is convenient to use and provide a complete track of your transaction and account balance. Now all the activities of your card in the palm of your hand. How to redeem cash back rewards? You can redeem cash back rewards at Walmart website or via their App at the end of reward year. 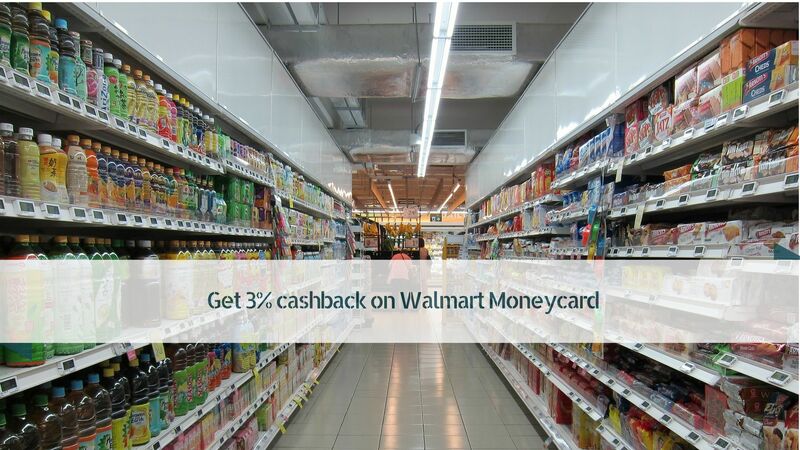 Most of us do shopping with Walmart and its Moneycard is the best way to reduce our shopping bills in the form of cash back. They provide various ways to Reload the card with cash which makes this card very convenient and easy for use. No only money reloading you can also send and receive money.